Between April 1 to April 9, the Mi Fan's Festival, LOOCK became the duo champion in terms of the gross sales volume and the sales revenue. The 9th Mi Fan’s festival finished with CNY 1.9 billion as the total revenue. Due to the approving of the time of IoT, and the popularity of smart home devices, more and more consumers choose smart IoT products. During this Mi Fan’s festival, more than 703 thousand of AIoT smart devices were sold, which contributed most part of the total sales revenue. Lots of Xiaomi’s products gained popularity during this Mi Fan’s festival. For example, Xiaomi 9/Xiaomi 9 SE, Xiaoai smart speaker, Mijia electronic razor, and the LOOK Classic, which is the smart lock that is extremely popular among the Xiaomi ecological chain. The Mi Fan’s festival provides a lot of preferential policies for the customers. According to the statistics data, between April 1 to April 9, LOOCK became the duo champion in terms of the gross sales volume and the sales revenue. LOOCK Classic smart lock becomes the most popular smart lock model during the Mi Fan’s festival which generates the largest sales revenue and ranked 1st place in terms of sales volume. On the other hand, OJJ X1 became the most popular smart locks which price in less than CNY 1000. LOOCK brand became one of the greatest winners of the Mi Fan’s festival with its strong influence and market performance. LOOCK joined Xiaomi ecological chain about 1 year ago. With its strict quality requirement and continue innovation in service, LOOCK quickly became the best-selling smart lock on Xiaomi Youpin (小米有品), which is the E-commerce platform of Xiaomi. Several months ago, LOOCK won 3 prizes in the Xiaomi Youpin Partner Summit, which were “the best quality prize”, “the annual hot product prize” and “the bestselling performance prize”, which showed the LOOCK’s leading status in the smart lock industry. The smart lock market experienced a rapidly increasing during 2018 due to its convenience and higher security level. All of LOOCK’s smart lock products use C-level lock cylinder, which is the safest one. 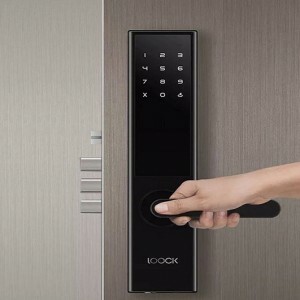 ZHANG Dongsheng (张东胜), who is the president and CTO of LOOCK says that “it is LOOCK’s mission to make the lives safer and better.” As the professional smart lock manufacturer, LOOCK offers an abundant production line, which prices range from CNY 1000 to CNY 5000 to meet the different requirements of the customers. While selecting the smart locks, people would not only focus on the safety standard but also concern whether it offers perfect after-sell services. LOOCK provides its own installation services, as well as a perfect after-sell service. On Jun 18, 2018, which is the “618 shopping festival”, LOOCK became the champion in terms of sales volume in many E-commerce platforms. In addition, on Nov 11, 2018, which is the “11.11 shopping festival” in China, LOOCK generated CNY 183 million as the sales revenue and became the selling champion in both online and offline channels. Plus, LOOCK has a favorable rate with more than 98%, which shows its popularity. LOOCK belongs to Yunding, which is one of the largest smart lock manufacturers in China. Yunding dominates the business side smart lock market with more than 60% market share. Yunding has completed 7 rounds of financing and attracted many famous investors including Baidu Venture, Shunwei Capital, SIG, etc. 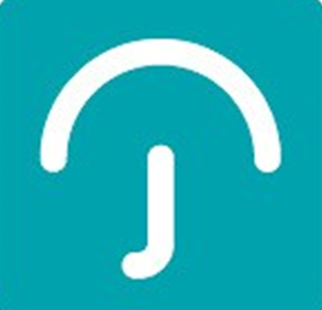 Yunding, referred to as Yunding Technology, was established in May 2014. It is committed to becoming a trusted partner of every family in technological innovation and hopes to use technology to make everyone's life safer and better.